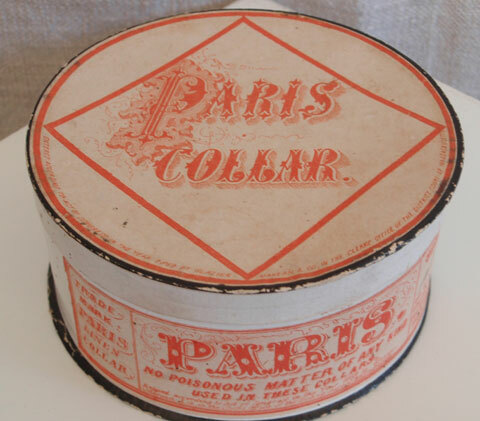 This is a late 19th C Paris Collar Box in very good condition. Measures 4 inches in diameter by2 inches high. There are no breaks or tears. 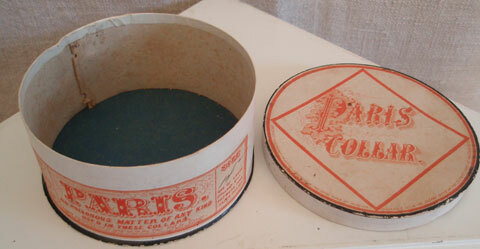 According to the information contained on the label, Glazier, Marean and Co manufactured Paris Collars. 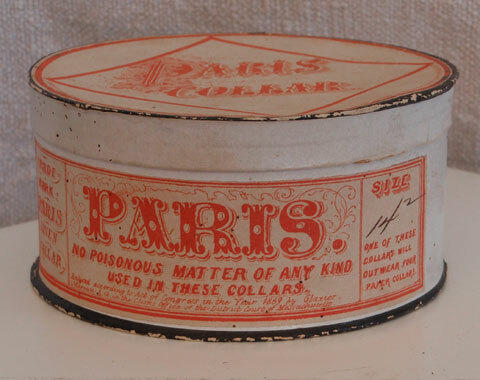 I especially love the line on the label “ No Poisonous Matter of Any Kind Used in These Collars”.